One of the most popular university of South India known as Madras University stopped offering concession for prisoners & disabled candidate for its distance education courses. The University has taken this decision recently and there is a mix reaction among people about the decision. 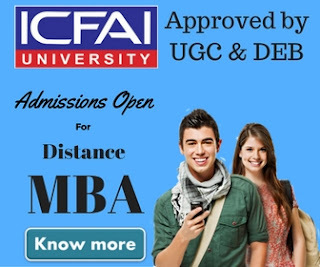 As of now the university is offering various undergraduate & post graduate courses under distance learning mode including MBA. In total there are 109 courses are being offered by the university in which some of them are specially designed for working professionals like Executive MBA. It should be noted that before the decision prisoners & disabled candidate were enjoying the full waiver of fee. The state government of Tamilnadu is working on improving the gross enrollment rate (GER) and this decision might slow down the rate expert says. If we believe on a senior professor at Madras University, the university will still be able to attract enrollments after this decision as the reach of Madras University distance education is very wider. It's a responsibility of all the state university of Tamilnadu to contribute in increasing the GER and make it 25% by 2017. 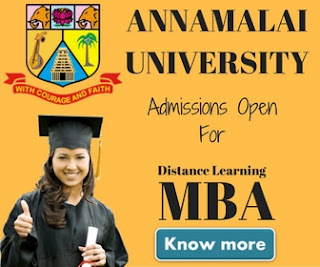 Currently IGNOU, Annamalai University, Madurai Kamaraj University, University of Madras and Alagappa University are offering distance education courses in Tamilnadu and this decision may influence other Universities as well to cut down the Concessions in Fee. Before the decision come into existence women candidates, former graduates of the university, defense personnel, teachers and journalists were given 25% fee concession for distance education courses. Now these students will also be not eligible for any concession in the fee & this may lead to drop into the number of admission in Madras University Distance Education Courses in near future. Now we can only wait and watch that this decision will be in favor of the university or the university new enrollments will be hampered by the decision. We haven't hear anything on this decision from the university VC. The earlier concessions were introduced into the university by the former Former VC G Thiruvasagam.